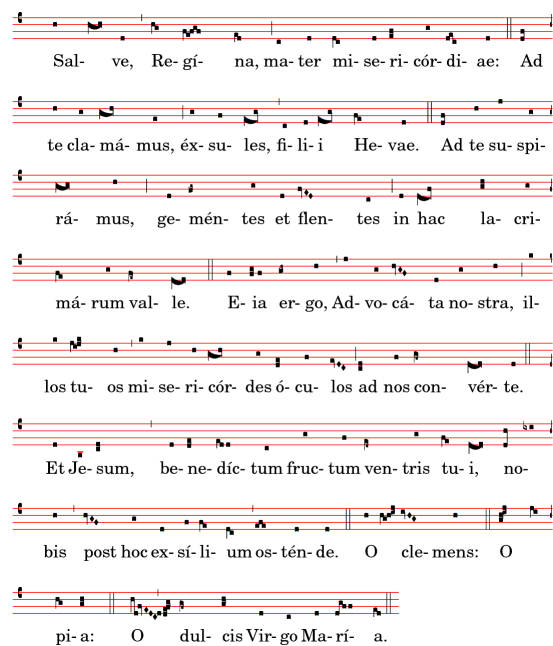 Support for ancient notation includes features for mensural notation, Gregorian chant notation, and Kievan square notation. These features can be accessed either by modifying style properties of graphical objects such as note heads and rests, or by using one of the pre-defined contexts for these styles. Music Glossary: custos, ligature, mensural notation. Notation Reference: Mensural note heads, Mensural accidentals and key signatures, Mensural rests, Gregorian clefs, Mensural flags, Mensural time signatures, Custodes, Divisiones, Ligatures.